LONDON - Becky Martin, the director of Peep Show and Two Pints of Lager and a Packet of Crisps, has joined the production company 2AM to work on upcoming advertising projects. Martin becomes part of a 2AM roster that also includes Damien O'Donnell, the director of various Bulmers TV spots, Matthew Donaldson, who has directed ads for Chanel and Calvin Klein, and Gus Filgate, the director of the Jacob's "Alan's Crackers" TV spot. 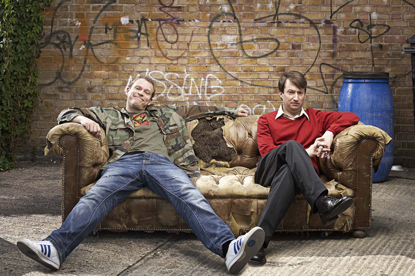 Martin recently finished directing the sixth series of Peep Show, which started on Channel 4 last week. During her directing career, she has also worked on programmes including The Peter Serafinowicz Show, The Morning After Show and Ladies and Gentlemen.